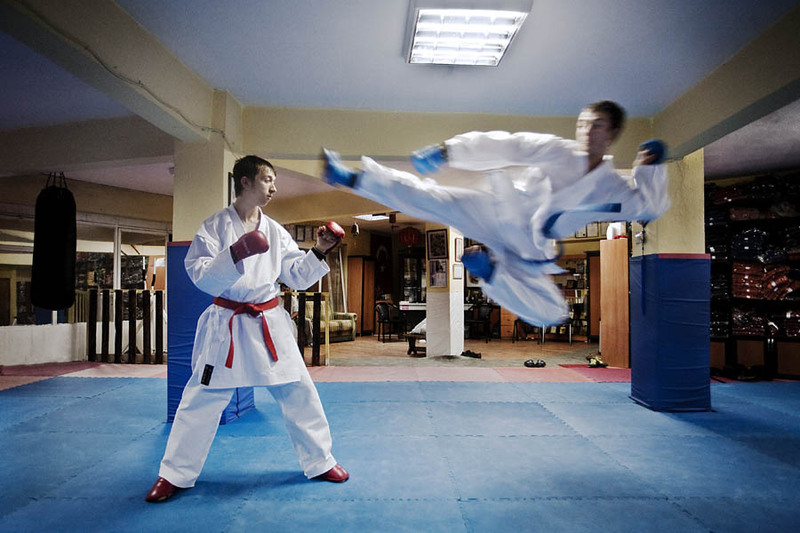 Two teenagers doing Karate training in a sport school in Bursa, Turkey. I went one evening to a karate school with my friend Caner. There, Caner and his friends made a couple of karate performance for me to grab some nice shots. Light condition was quite low however and I did not have any flashgun. We started with a couple of standstill performances and then went for more action kicks such as on this frame.